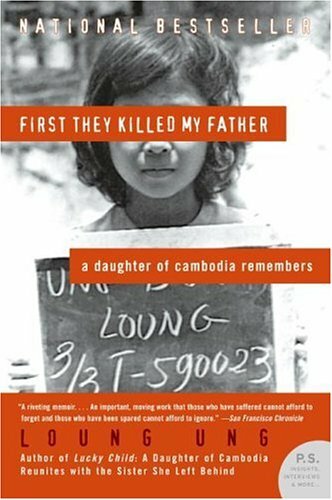 One of seven children of a high-ranking government official, Loung Ung lived a privileged life in the Cambodian capital of Phnom Penh until the age of five. Then, in April 1975, Pol Pot's Khmer Rouge army stormed into the city, forcing Ung's family to flee and, eventually, to disperse. Loung was trained as a child soldier in a work camp for orphans, her siblings were sent to labor camps, and those who survived the horrors would not be reunited until the Khmer Rouge was destroyed. Harrowing yet hopeful, Loung's powerful story is an unforgettable account of a family shaken and shattered, yet miraculously sustained by courage and love in the face of unspeakable brutality.